“Alcohol and prescription drug problems, among adults 60 and older is one of the fastest growing health problems facing the country. Yet, the situation remains underestimated, underidentified, underdiagnosed, and undertreated,” states the National Council on Alcoholism and Drug Dependence (NCADD). Alcohol is an accepted drug of society. Watching your senior loved one have a glass of wine may not set off any red flags. Yet, perhaps, it should. 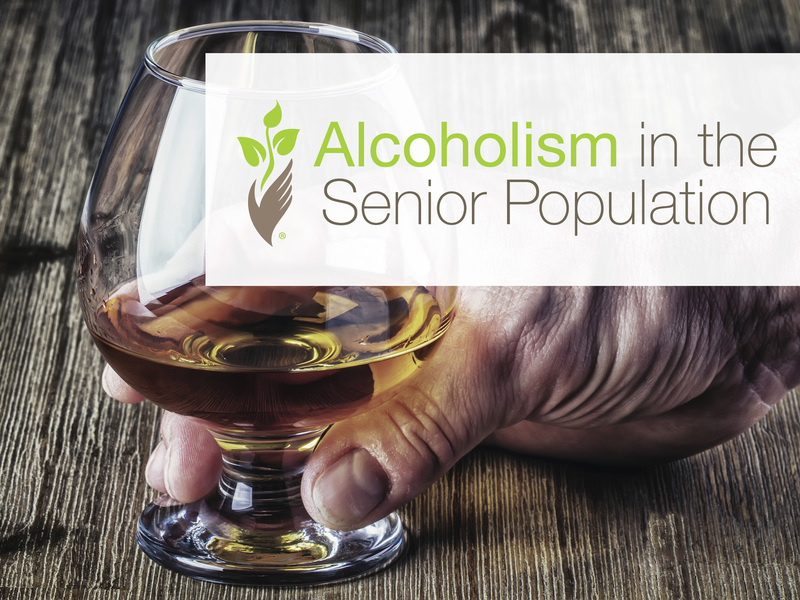 Seniors adults are more vulnerable to the powerful effects of alcohol. While you may be use to watching your senior loved one enjoy a night cap or two, as we age, our bodies aren’t able to metabolize alcohol as quickly as when we were younger. Also, the amount of water in your body decreases with age, which means having the same drink as you did when you were younger, has a different result as a senior. Because of this lowered tolerance, seniors can be at a risk for developing problems with alcohol, even if they have never experienced it in the past. Alcohol abuse can also develop later in life. Those who have never been known to enjoy a beer or glass of wine may suddenly start drinking. There are many life changes that occur as we age, some of these changing are very disrupting such as the death of a loved one or spouse, changes in where you live, changes in your health and mobility. Depression is also linked to an increase in alcohol abuse. National Institute on Alcohol Abuse and Alcoholism, part of the National Institutes of Health, recommends that people over age 65 should have no more than seven drinks a week and no more than three drinks on any one day. However, if you or your senior loved one have certain health problems, or are on specific medications, it may be recommended that you not drink at all. Not all those who abuse alcohol are alcoholics. While alcoholism has all the characteristics of alcohol abuse, physical dependence is an additional requirement. Those who suffer from the disease of alcoholism, experience tolerance and withdrawal. Tolerance is the adjustment your body makes to the amount of alcohol you consume, over time you are required to drink more and more to get the desired high. Withdrawal is the physical reaction your body goes through when alcohol wears off. Withdrawal symptoms include anxiety or jumpiness; shakiness or trembling; sweating, nausea and vomiting, insomnia, depression, irritability, fatigue or loss of appetite and headaches (In extreme cases, withdrawal symptoms can be life threatening and the withdrawal process need to be monitored by a doctor). Drinking to avoid these withdrawal symptoms is a sign of alcoholism. If you think you may be struggling with alcohol abuse or alcoholism, the NCADD offers a short self-test to help you assess where you stand. The withdrawal process should not be started on your own, contact your doctor for supervision in the withdrawal process. Your doctor may recommend a detox center. Find a counselor who is experienced with working with senior adults and addiction, join a support group and a twelve-step program such as Alcoholics Anonymous (AA). If you are struggling with alcoholism you know first hand the havoc it is reeking on your life and the lives of those you love the most, it’s time to reach out for help.